In the options you may enter applications that should not run, when the synchronization starts. This dialog appears only if exactly this happens nevertheless. 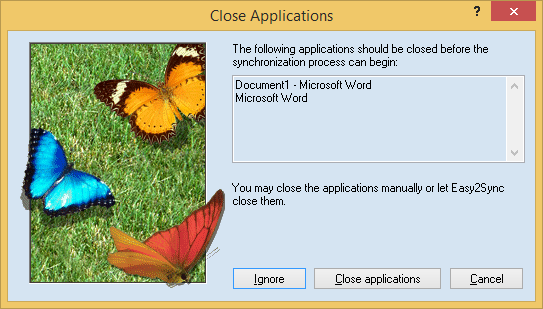 You may close the applications yourself as usual, let Easy2Sync close them or ignore the warning.